The Peoples Democratic Party in Rivers State says the celebration of the October 26, 2007 Supreme Court ruling that ushered in Governor Amaechi's administration is done in error and in contrast with the position that his tenure started May 29. The Party believes that since Amaechi's tenure actually came into being May 29, 2007, as he claimed in the processes filed before the Supreme Court, then he would have celebrated same day rather than October 26 as in being done today. The State PDP also takes a swipe at the huge amount of money squandered on the celebration which is being distributed today at the Rivers State Government House, Port Harcourt through the leadership of the Rivers State Leadership Advancement Foundation, RIVLEAF, to a hired crowd drawn from the various wards in the 23 Local Government Areas of the State. The Party says it was duly informed that the State Government doles out about N1.5b as inducement funds for all hired participants of today's gathering being organized by the RIVLEAF. Out of the amount, Eight Hundred Million Naira (N800, 000,000.00) is meant for the leadership of the organization to be used for mobilization, transportation, publicity and other logistics for another event billed for November this year. The Party considers that not only the celebration is out of place, but wasting such huge amount of tax payers' money on frivolities and personal aggrandizement is what the public and relevant security and financial graft agencies should question. In like manner, the Party disagrees with the claims by the Rivers State Government that its planned Accountability Summit is postponed following the burial activities of the First Lady's Mother. The Party in a statement today in Port Harcourt issued by Jerry Needam, Special Adviser on Media to the State Chairman, faulted the State Government's position, saying it is aware that the Summit was put off as a result of the Governor's incessant travels out of the State, and that the non availability of the Governor during the period slated for the Summit was responsible for the shift in the date of the event. 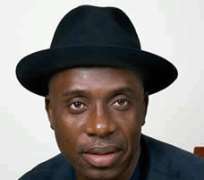 The Statement further says the proposed Summit which is to be organized by an Amaechi-funded political organization, the Rivers State Leadership Advancement Foundation, RIVLEAF, is intended to provide an avenue for the Governor to fill the public with the lies and claims which are not the true representations of the development efforts on ground in the State for six years under Amaechi. The PDP is of the view that rather than wasting another tranche of huge funds in a bid to attract people's support in the face of the glaring failure and lack of relevance by the Amaechi's administration, the government should redirect such funds into meaningful development needs of the people. The Party therefore uses this medium to express its concerns over the untold hardship, woes and anguish which have become the consequences of having that regime metamorphosed into its second term. “It is our pains that rather than focusing on the development needs of our people, Governor Amaechi and his allies have resorted to milk-dry the resources of the State, putting it on the verge of total breakdown and bankruptcy. This is unacceptable, the Party emphasizes.